Ottawa, ON— Following The Kentucky Cup — the pre-ride for the World Equestrian Games (WEG) — Canadian endurance horses and riders have travelled thousands of miles, in pursuit of their dream to qualify and compete for Canada, either in the World Equestrian Games this September or in future major international events. In FEI competitions from all over North America, Canadian riders and their amazing equine partners have excelled, building on their already-enviable ride records. In addition to the FEI events, these riders have actively participated in open rides as well with outstanding results. The next and final challenge for these riders hoping for a berth on the 2010 WEG Team will be the 2010 Canadian Distance Championship in New Lowell, ON, on July 1, 2010. Following the Championship, the 2010 WEG squad will be named. The Endurance Championship will include FEI 1*, 2* and 3* events, with Young Riders’ divisions. The majority of the WEG-nominated riders from Eastern Canada, as well as a few from the West, will compete under the watchful eyes of several of the Team officials: Kay Melvin, Chef d’équipe; Maura Leahy, Assistant Chef; Stan Alkemade, Assistant Team Veterinarian; and Kim Woolley, Team Coach. ABOUT 300 riders, including four from Tenterfield, set off at midday on Friday to start the 2010 Tom Quilty 160km endurance ride. Regarded as the Melbourne Cup of endurance rides, the Quilty was this year held in Manilla. Tenterfield grandmother Jackie Parsons, aged 67, successfully completed the ride on Dunwingi Nova in her first attempt. Mrs Parsons’ husband Dennis was there to offer support, as was her daughter who flew from Singapore for the prestigious event. The ride completed a long-held dream for Mrs Parsons, but it wasn’t easy, she said. “My horse seems a lot less tired than I am, and I’ll bet he doesn’t hurt in as many places as I do,” she said. Tenterfield club members were also there to help out, as was the horse’s owner Hal Archer. Rain before daylight meant dramatically changed conditions, making the track slippery and boggy in places. The track was broken up into five legs, with strict veterinary checks at each leg ruling out an increasing number of horses. Under endurance riding rules, no horse is allowed to continue if they are considered in any way unfit. Mrs Parsons cut more than three hours off her qualifying time, but she wasn’t the only success in the race. Hannah McQueen also managed to finish, in the process earning a coveted Quilty buckle. Bad luck and the slippery conditions prevented Tenterfield’s other two riders, Philippa Lillyman and Dylan Keys, from finishing, as they joined many others in being ‘vetted out’. Only 120 of the 300 riders that set off at midnight managed to finish the demanding ride. The ride was won for the second year straight by Queensland rider Brook Sample, who finished in just eight and a half hours. The competition in Uruguay was developed with a very cold temperature of 8 to 12 ºc and a fairly high humidity of 80% on a very flat terrain as usual in Uruguay. Martin competed at 17.1 km/h against 11 riders and came 4th to goal after 160 km since the others were eliminated by the judges and Uruguayan veterinarians. Diego Zamora competed in Tecpán Guatemala at a very favorable temperature and managed to reach the target smoothly at 14.2 km/hour. The WEG in Kentucky will be the day 26 September and it is expecting the participation of 150 horses and 32 countries. Costa Rica, in 2008, also participated with two riders in Malaysia. The Equestrian Federation International (FEI) requires riders: 4 120 km competitions at 10 Km/h average minimum and one 160 km competition at 13 km/hr with the same horse. Diego Zamora with 5 events. 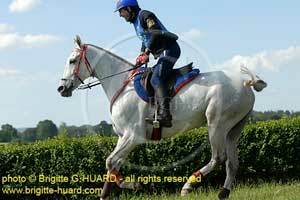 5-Uruguay 160 km... 2010 with Hasan horse ran 17.1 km/h average. Billed as the “Greatest Horse Race in the World” and the “Longest Horse Race in the world,” the Mongol Derby is not a challenge just any horse rider is willing to take on. Indeed, the 1,000 kilometer (more than 630 miles) endurance race over the Mongolian steppe — a diverse, often unforgiving terrain that includes forest, mountains and desert — is so challenging that organizers of the race provide three days of training for the small group of international competitors who qualified to be in the race. A true adventurist, 33-year-old Justin Nelzen, a-Pinehurst-farrier- turned-endurance athlete, is one of 16 representing five counties who qualified for the second annual derby to start Aug. 7. In fact he is one of the first three Americans ever selected for the 10-day equestrian event. And, while several might be happy just to finish the race, Nelzen’s standard is set a bit higher. “My goal is not just to complete the race, but to win it,” he said. With only three years of endurance horse racing under his belt, some might think Nelzen is a risky bet, but his record says otherwise. Not only has the 5-foot, 8-inch, 158-pound, athlete competed and won in a variety of competitions since college, including martial arts, triathlons and marathon running, but his list of wins with his own Arabians in endurance horse racing has garnered the attention of experts in the sport. Last year, Nelzen also swept first, second and third places in the Hog Scramble, a 30-mile endurance race in Huntsville, on horses he owns and trained. His 7-year-old daughter, Trinity, placed first. Excited at just the thought of Nelzen winning the derby, McNair said Justin is very good at reading horses, a skill that is sure to pay off when he selects his Mongolian mounts for the derby. Averaging 10 horse endurance races a year Nelzen most recently rode for the Al Kamda royal family in the desert of Dubai, UAE, where he placed fourth in a 100-mile race on an Arabian he had never ridden. But the Mongol Derby is more than 630 miles, tracing one of the 13th century routes Genghis Khan’s supply and communications carriers used — an ancient pony express. Will Nelzen’s experience be enough to carry him over the finish line? Will it be enough to give him the win? He definitely thinks so. On the “don’t know” list are sleep, environment and the 25 horses Nelzen will be given to ride. The tradition of Khan’s massive network of horse stations, called the Morin Urtuus, will be implemented for the race. Hosting Mongolian families offering a fresh mount along with a meal of mutton and mare’s milk will be identified every 30 miles or so along the yet-to-be-announced derby route. Because contestants may ride from 6 a.m. to 8 p.m. there is no guarantee Nelzen will be at a host family’s yurt at the end of each day. If the countryside and route don’t offer enough challenge and history then the horses supplied for the derby certainly do. Decedents of the horses that gave Khan and his warriors superior advantage over their enemies and helped establish the Mongol Empire, make up the pool of more than 200 horses the derby supplies. Riders will get a fresh mount at each station choosing from a collection of the Mongolian horses on a first-come, first-served basis. “I hope I’ll get there first, have a good selection and be able to choose a good horse,” Nelzen said. Imagine sizing up a 13-hand, almost pony-sized horse in minutes considering size, confirmation, overall health and disposition — all this without a test drive. Described as being tougher than Rambo on steroids, the small native mounts are a far different ride than the floating Arabians. The Mongolian horses are tightly coupled with eight speeds rather than the familiar four gaits of most horses. While Nelzen is confident of his riding skills, he prays the steeds he rides will be as fast as the Arabians he raises. Nelzen has collected more than $2,500 for his place in the Mongol Derby. His total expenses top $15,200 including a required charity donation of $1,500. He is accepting donations on his website through PayPal at, www.teamequipro.com. To learn more about the Mongol Derby and to read updates during the race visit, http://mongolderby.theadventurist.com. Due to unforeseen circumstances, the SA Tom Quilty committee announces a change of venue and date for the 2011 Tom Quilty Gold Cup. The event, now known as the Barossa Ranges Tom Quilty Gold Cup will provide a challenging event for participants on a new course. There will be an away check point and riders will experience changing terrain as the course traverses Mt Crawford State forest, vineyards and pastures. The second and potentially most challenging leg will be through pine forests, then onto private land owned by the Ross family (by kind permission). Please note that the event will now start at midnight on Friday September 30th 2011 and continue through Saturday October 1st. Changes to our website are being made and further announcements will follow as plans are finalised for the test event, the South Australian State Championships and FEI 1* featuring the Trans Tasman and Young Horse Qualifier (sponsored by Castlebar) which takes place later this year on October 8th – 10th. Please refer to the website www.satomquilty.com.au for the most up-to-date information as it becomes available. BAHRAIN'S Royal Endurance Team claimed an impressive one-two yesterday in the 120-kilometre race in the CERA Endurance Challenge in Dillingen Town, Germany. Ghazi Al Dosseri led compatriot Yousef Al Taher to the finish. They were separated by just a mere second as the hugely competitive ride came to a dramatic conclusion. Al Dosseri, riding his horse Ganda Koy, registered a total ride time of six hours 55 minutes 18 seconds for first place. He was trailing Al Taher, riding Kango II, as they neared the end, but then managed to make a strong late push to pass his countryman before crossing the finish. Both Al Dosseri and Al Taher were also the leaders heading into the fifth and final stage of the event. Taking third place was Bettina von Ballmoos from Switzerland. Riding Swwann, von Ballmoos took the final podium place alongside the Bahraini victors after completing the event in 7:12:38. Fellow-Swiss Ralph Durler, on Ainhoa Tordidja, came fourth in 7:18:57. The CERA Endurance Challenge is set to conclude today with the final events followed by the official awards presentation for the winners. Al Dosseri's victory and Al Taher's runner-up finish added to the joy of another second-placed classification, won by Royal Endurance Team rider Jaffer Mirza in the 160-kim ride held on Friday. Fourteen-year-old endurance rider Abby Chisholm, from Lydford, is the new Young Rider National Champion. She successfully completed the 80km (50-mile) class at Cirencester Park last Saturday. Abby was riding her 13.2 hh Arab cross Thoroughbred mare CFS Diana of Court. The new British National Champion is David Yeoman, from North Brewham in Somerset. He was riding 12-year-old Hazar, the Arab gelding which won three Endurance Rides in the South West last year. David has entered for the Boconnoc Ride on July 4 but this year will be riding Banko de Pibou. ALMOST 300 riders turned out in Manilla at the weekend to push themselves and their horses to the limit. It was the Tom Quilty Gold Cup weekend, and organisers said it went off almost without a hitch. “Apart from the rain, but we couldn’t do much about that,” secretary treasurer Jessica Taylor said. Queensland’s Brook Sample took out his second cup. Sample finished in a time of 8hrs 35min after his joint victory last year with brother Matthew. The first rider across the line in Manilla yesterday was 12-year-old David Anderson in 8hrs 30min. Juniors, however, are ineligible to win the cup. The event was truly an international one, with riders coming from the US, Namibia, France, New Zealand and Japan for the cup. Mrs Taylor said the town provided “wonderful” support for the event, and was repaid in kind. “There is nothing left on the supermarket shelves. The shops have all sold out,” Mrs Taylor said. Riders were expected to cover 160km over five legs in 24 hours during the event. n See tomorrow’s issue of The Leader for more pictures and results. Preselección de caballos para Kentucky 2010. Este es el comunicado que da la Federación Hípica Española referente a los caballo preseleccionados para los Juegos Ecuestres Mundiales de Kentucky 2010. La Seleccin definitiva se realizará en base a los resultados de las pruebas de control médico, veterinarias y físicas ordenadas por el Seleccionador, cuyas fechas serán acordadas con los responsables de cada caballo y publicadas en esta WEB. Con independencia de las citadas pruebas, y con el fin de avanzar en la realización de las específicas que exige el Comité Organizador y la Administración Norteamericana para importación de los caballos en USA, los responsables de cada uno de los caballos que se incluyen en el presente comunicado deberán contactar con el Veterinario del Equipo, Josep Ayats a través del correo electrónico de Clínica Móvil Equina clinicamobilequina@clinicamobilequina.com. Cualquier otra información sobre el Campeonato del Mundo relativa a Raid puede solicitarse enviando un correo a raid.consultas@rfhe.com". This is the statement given by the Spanish Equestrian Federation concerning the horse shortlisted for the World Equestrian Games Kentucky 2010. The final selection will be based on the results of tests of medical, veterinary and physical ordered by the coach, with dates to be agreed with the heads of each horse and published on this website. Regardless of those trials, and in order to advance the implementation of specific demands Organizing Committee and the U.S. administration for import of horses in the USA, responsible for each of the horses that are included in this statement should contact the Veterinary Team, Josep Ayats via email clinicamobilequina@clinicamobilequina.com Equine Mobile Clinic. Any other information about the World Championship on Raid can be obtained by sending an email to raid.consultas @ rfhe.com. " LEXINGTON, KY - June 18, 2010 - The 100 Days to Go Celebration for the 2010 Alltech FEI World Equestrian Games was a hit June 17, and the Fifth Third Pavilion in downtown Lexington drew in hundreds of fans, residents and passersby to help celebrate the occasion. FRANKFORT, Ky. – In 100 days, the Kentucky Horse Park will become the first non-European location in 20 years to host major international equine championships known as the FEI World Equestrian Games. And this week, state lawmakers on the Kentucky General Assembly’s Interim Joint Committee on Economic Development and Tourism learned from event organizers how over 2,000 volunteers, over 300 temporary and permanent facilities, affordable $25 per person general admission tickets and competitors from as many 62 countries can make this Kentucky-based 2010 Alltech FEI World Equestrian Games (WEG) a worldwide success. Only 59 countries submitted competition entries for the 2006 WEG held in Aachen, Germany, said WEG 2010 Foundation CEO Jamie Link. We look forward to having you and your mount join us for the 55th annual Western States 100-Mile One-Day Ride on July 24th, 2010. You will be entering what is most likely the world's most intense challenge of skill and physical endurance of both horse and rider. Please go to our website at: www.TevisCup.org to see pictures of past rides, detailed maps, and other information on the ride and the trail. 1216 High Street, Suite C, Auburn, CA 95603. Phone: 530-823-7282. See you at the Tevis Cup Ride! The Federation Equestrian International Endurance ride that was held at the Red Range Sports Grounds last month attracted 60 horses from Australia and New Zealand to compete in two international events. The rides were a 120km two star event and a 90km one star event. Five local riders Jenny Annetts, Tami Parnell, Jasmine Shields, Judy Burton and Rebecca Miller all qualified to compete in the event. The weekend started off full of drama as Parnell fell from her horse after her bridle broke at approximately 4:30am. A local search crew led by Col Crosby and Tracy Hutchinson eventually found the horse unharmed twelve hours later. Parnell escaped relatively unscathed with cuts and bruises. While football was in the spotlight in South Africa yesterday, in some quieter corners of Britain some very peculiar sports were the order of the day. Yesterday saw the start of three strange and most extreme endurance races: the Man v Horse contest (which features people on foot racing against horses across Wales), a 1000-mile bike ride from John O’Groats to Lands End and a 24-hour double marathon along the West Highland Way. The Tennents Caledonian Challenge 2010 – a 54-mile, one-day trek across some of Scotland’s most beautiful and difficult terrain – got under way in Gairlochy near Fort William yesterday. Now in its 14th year, the endurance challenge is organised by the Scottish Communities Foundation (SCF), a organisation which distributes funds to worthwhile causes across Scotland. The course runs from Gairlochy to Strathfillan across the undulating hills of the Great Glen and West Highland Way footpaths. The SCF hopes to raise £1 million from the 900 competitors taking part. However, that challenge, gruelling though it is, pales in comparison to the annual Man v Horse Marathon in Llanwrtyd Wells in Central Wales. The brainchild of a local hotelier, hatched over a drink 31 years ago, the race sets out to prove who would win over a long distance, a man or a horse. Over a course of varying terrain, designed to keep the competition fair, yesterday 253 runners raced 44 horses over 22 miles. This year victory went to equine challenger Sly Dai, with Llinos Jones, 24, a primary school teacher, riding, in a time of 2.07.04. Marathon runner Huw Lobb became the first man to win the event in 2004. For those preferring two wheels, yesterday also saw around 500 cyclists start the 1000-mile journey from John O’Groats to Land’s End in the Deloitte Ride Across Britain. The new event will see the riders travel across Britain over nine days, covering an average 114 miles a day through stunning scenery including Loch Ness and Lake Windermere. Come and join us for a Festival of Endurance, Competitive Trail & Ride and Tie competitions in New Lowell, Ontario located in Simcoe County. Your trails will be varied and consisting of fields, sandy pine forestry, some hilly sections and roads. We promise something for everyone with a 100 Mile FEI CEI***, 75 Mile FEI CEI**, and a 50 mile FEI CEI*. As well, there will be Young Riders Divisions in both the 75 and 50 Mile FEI events. Open Divisions will be offered for all endurance events in addition to the Championship challenges for Ride and Tie and CTR, as well as a 25 mile/40km Novice and 25 mile/40km mileage. photo: Some of the winning team and their helpers, from left, Mandy Steen, Carla Maskell, Caroline Cooper, Anna Lek, Emma Broadhurst, Trudi Gatrell and Jessica Gatrell. A TEAM of six Island riders produced a stunning performance at the Berkshire Downs Endurance Riding Event last weekend. The team, from Vectis Equestrian Club, were representing the club for the first time in this discipline but despite their lack of experience at this event, still romped to victory. The 30km route was mainly along the famous Ridgeway and comprised rolling hills with good through hard going. With no gates to slow them down, the squad — Caroline Cooper (Peronne Pazazz), Emma Broadhurst (Lilly), Mandy Steen (Dynamite Daisy), Fliss Crouch (Tarran), Trudi Gatrell (Decadence) and Carla Maskell (Be Fine) — completed the route in good time, with final heart rates and average speeds deciding the result. After everyone completed the route, they found they had all achieved the highest grade and had won the Riding Club team event. This win qualifies the team for the national finals at Southwell Racecourse, Nottinghamshire in September. The team was assisted on the day by Pauline Wade, Tina Murrant, David and Jessica Gatrell, Dave Dana and Anna Lek, who crewed the team at specified crew points and at the start and finish. Meanwhile, members of Vectis Equestrian Club travelled to Sparsholt College to compete at the Riding Clubs Area Dressage to Music competition. Wendy Warren with Truly Scrumptious rode an excellent test and qualified for The Riding Clubs National Championships in Aintree in October. Kelly Blow and Sally McIntosh, with their horses Mirabella and Sibena were equal first in the pairs’ event while Marty Davison, riding her impressive Friesian horse, Geart, came fourth in their music class. The IW Riding Club had two of its members placed at the competition. Pam Gardener, riding Island Lad, came second in the novice restricted section, while Fiona King and Wilma F. Vejgard won the elementary 44 test and came third in the elementary section. photo: CHAMPIONSHIPS: Margret Boland with Alandell Karlinta and Darryl King with Shanadarr Khaleel. The 160km ride will see King and Boland head off at midnight on Friday, June 24 and are required to complete the five legs within 24 hours. Attracting international riders, the event is treated by King and Boland as a relaxing way to destress from life. Facing cold temperatures and rough terrain, training is vital to the level of success endurance riders reach. “It is just you and your horse in the elements,” Boland said. Competing in the middle weight division, Boland and King have been preparing their animals with training and special care. “They are athletes in the horse world and require all the vitamins, care and physical work of any athlete,” Boland explained. King is entering the championship with only his 160km qualifying ride behind him. Boland however has met the criteria to be a part of the New South Wales squad at the event. Animals are vet checked at all five legs and there is a one hour break at legs one, two and three with a shorter one at legs four and five. If an animal does not pass the final check they are disqualified from the event. The Lexington Herald-Leader/Kentucky.com has been named the Official Print Media Sponsor of the 2010 Alltech FEI World Equestrian Games. The Games will be held at the Kentucky Horse Park September 25 to October 10, 2010. As part of the sponsorship, the Herald-Leader will produce daily start lists and results sheets available on the grounds for Games spectators. The Herald-Leader also will provide the Foundation with promotional space to advance the Games. The partnership with the Games also includes expanded advertising and circulation opportunities. The Herald-Leader and Kentucky.com will provide Kentuckians and visiting fans with comprehensive, multi-media coverage of the pageantry, the sports and the personalities of the Games, and the events and activities surrounding it, on a daily basis. The Lexington Herald-Leader and Kentucky.com are committed to being Central and Eastern Kentucky’s primary sources of news, advertising, information and commentary. The combination of the Herald-Leader and Kentucky.com reaches seven out of 10 adults in the 40-county Newspaper Designated Market. Winner of three Pulitzer Prizes, the Herald-Leader is owned by The McClatchy Company of Sacramento, Calif. The Alltech FEI World Equestrian Games are the world championships of eight equestrian disciplines recognized by the Fédération Equestre Internationale (FEI). The Games are held every four years and this will be the first occurrence in the United States. The Games will be broadcast on NBC Sports, which has marked the largest commitment to network coverage of equestrian sport in U.S. television history. The 2010 Games are expected to have a statewide economic impact of $150 million, and current sponsors include Alltech, Rolex, John Deere, Ariat International, Inc., Meydan and Rood and Riddle Equine Hospital. For more information on the 2010 Alltech FEI World Equestrian Games, please visit www.alltechfeigames.com. TERENGGANU'S hopes of winning gold in the endurance race team event in the Malacca Malaysia Games rest with the Regent of Terengganu, Tengku Muhammad Ismail Tuanku Mizan Zainal Abidin, his sister Tengku Nadirah Zaharah and four others. Team manager Ismail Awang said the siblings, aged 12 and 14, ely, have shown maturity in the sport after competing in various endurance competitions over the last two years. Ismail said Terengganu, as hosts, took the team silver in 2008 but has predicted gold in Malacca. "We still have Abdul Rahman Muhammad, who won the endurance individual gold medal in Terengganu, and chances are he will do it again," said Abdul Rahman. "The 20-year-old rider from Kampung Nibong in Kuala Terengganu has established himself as an endurance rider of quality after securing several victories in the Sultan's Cup and events organised by the National Sports Institute." The other riders are Mohamad Alif Zabidi, who took silver two years ago, Adib Shazmir Ismail and Shahruddin Abdullah. Meanwhile, head coach Zulkifli Salleh said two more gold medals could be expected from showjumping and dressage. "Muhammad Zulfikar Mohamad won the dressage gold in the previous Games and we have a feeling the 17-year-old can do it again. "We also have Amini Shamira Zulkifli, who finished fourth in 2008 but has shown marked improvement in recent months and will be one of the leading contenders for a showjumping medal." Also competing in the showjumping and dressage events are Fatin Nabila Zulkifli, 18, Lokman Abdul Ghani, 19, and Haris Abdul Majid, 14. AS a teenager, Yang di-Pertuan Agong Tuanku Mizan Zainal Abidin was active in various sports and activities like football, golf, taekwondo, scuba diving and horseback riding. A taekwondo exponent, he has been patron of the Malaysian Global Taekwondo Federation (MGTF) since 1990. His active participation in the sport is acknowledged with an honorary award of the 7th Degree Black Belt given to him by the Global Taekwondo Federation (GTF). Due to his involvement in this sport, Malaysia organised the World Taekwondo Championship in Kuala Terengganu in 1994, with participation from 88 countries. Tuanku Mizan’s recent recreational and sports focus is horseback riding, particularly in the discipline of endurance. 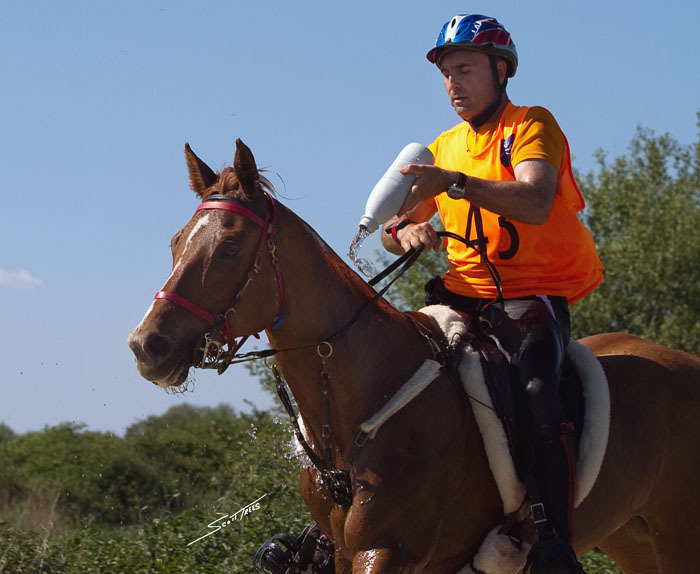 He has actively taken part in endurance riding competitions conducted both locally and abroad. In 2004, he placed fourth at the 105km Johor Endurance Championship and was third at the 105km Kelantan Royal Jubilee Endurance Ride. In the same year, he won the Wilga 80km Endurance Ride in Wilga, Australia. In 2005, he represented Malaysia at the 160km Endurance Championship in Dubai, United Arab Emirates, and also emerged winner of the 90km Harris Ride Championship in Perth, Australia. In 2007, he came in second at the International Endurance Ride Championship in Qatar. Last October, Tuanku Mizan was among 97 local and foreign riders who rode off in the Pahang-PENN Endurance Challenge 2009 at the Pahang International Endurance Park in Cherating. The King, representing the Royal Terengganu Endurance Stable (RTES), rode out for the 100km race astride his horse Tarjari Moonlight Pharoah. His two children, Tengku Muhammad Ismail and Tengku Nadhirah Zaharah, also took part in the race. However, Tuanku Mizan could not complete the race as his horse fell ill during the event. The year before, he was champion of the same category in the challenge. Besides being an active participant, Tuanku Mizan has played a vital role in promoting the sport in Malaysia and putting the country on the international equestrian tournament map. Since 2002, the King has been instrumental in getting the country ready for equestrian tournaments. He personally went to France in 2005 with the Equestrian Association of Malaysia (EAM) to bid for the Endurance Championship to be held in Malaysia. In 2008, Malaysia successfully hosted for the first time the Federation Equestre Internationale (FIE) World Endurance Championship at Lembah Bidong, Terengganu. The championship featured 140 riders from 34 countries and Tuanku Mizan led the 12-member Malaysian team. In 2005, Tuanku Mizan also pioneered the Royal Terengganu Endurance Stable (RTES), aimed at training horseback riding for participation in endurance competitions at national and international levels. Since its inception, RTES has taken part in many championships in Malaysia and abroad. 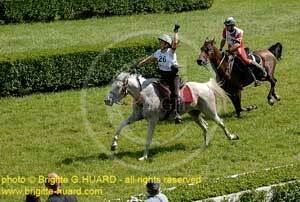 In 2006, three riders from RTES represented Malaysia at the World Equestrian Games (WEG) in Aachen, Germany. Tuanku Mizan also played a strong role in establishing the Sultan’s Cup Terengganu Endurance Race in 2006 as an effort to promote sports tourism in the state. He also initiated the endurance team at the Selangor Turf Club’s Equestrian and Sports Centre. IN 1966, 26 riders began the first Tom Quilty 160-kilometre endurance ride on a course west of Sydney. And in 2012 it will be St Helens turn to host the event, with more than 300 riders expected to take part. The Portland Endurance Riders Club will host the event in two years time and preparations began last weekend with a mock Tom Quilty. "The club decided it would be a good chance for the endurance riders from around the state to get together for a small competition," event secretary Penny Barns said. 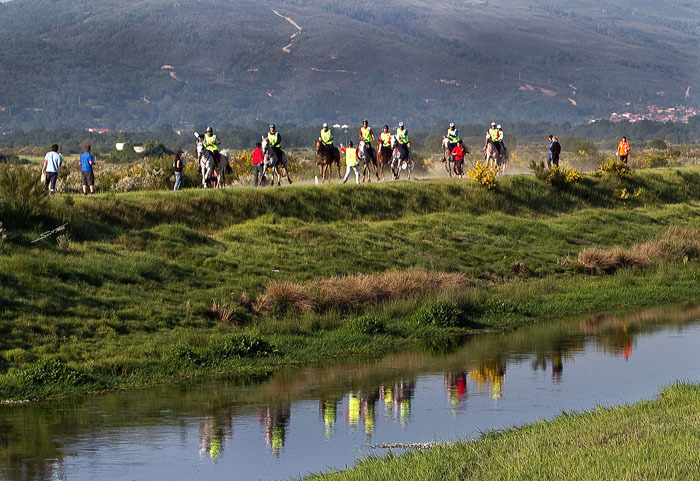 "The main aim of the event is to mark out the course in preparations for the 2012 ride." The event was the brainchild of R.M. 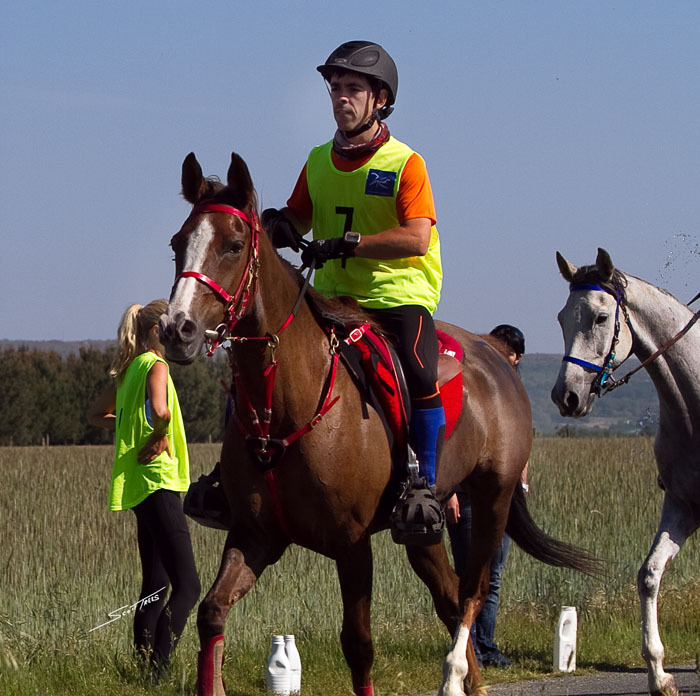 Williams, who had an idea to ride his horse 160 kilometres in one day. He convinced his friend Tom Quilty, a Kimberley cattleman and renowned horseman, to donate $1000 to make a gold cup, which is now known as the Tom Quilty Gold Cup. 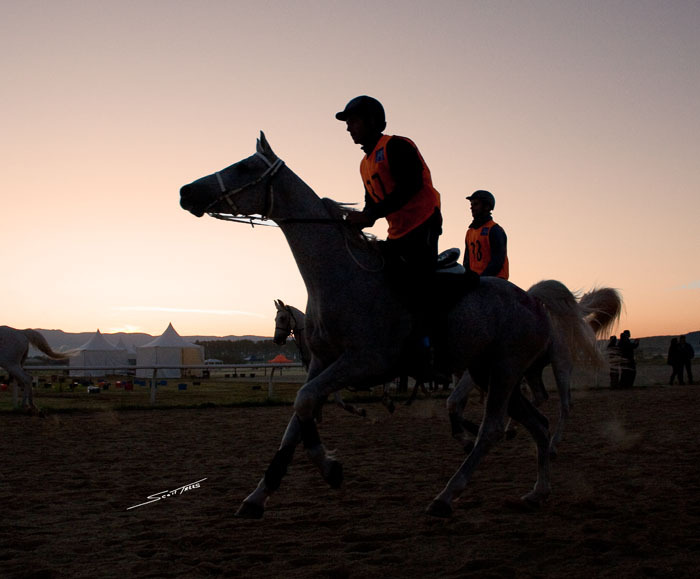 Each year, a field of more than 250 endurance rider's take to the course. Ms Barns said that only a handful of elite equine athletes are ever in contention to win the gold cup. "For most it is simply the challenge, complete the ride and win one of the famous Quilty Buckles," she said. More than 300 riders were expected to enter the state for the event, which Ms Barns said would be great for St Helens. "The event has never been held in St Helens before and we are very excited to be hosting it in two years time," she said. 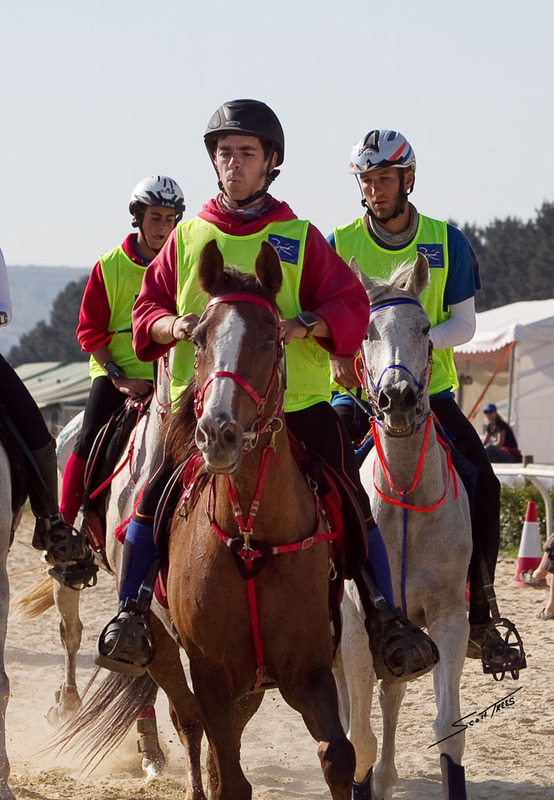 May 23,2010 , Xinzo DE Limia, Spain: The results from Spain’s National Endurance Ride held in the Ourense Providence of Spain at Xinzo De Limia brought forth top international riders to compete for the National Honors.. Sponsored by Al Shahania Stud of Doha, Qatar, this event highlights the stud farm’s firm support of endurance racing around the world and their dedication to the sport. 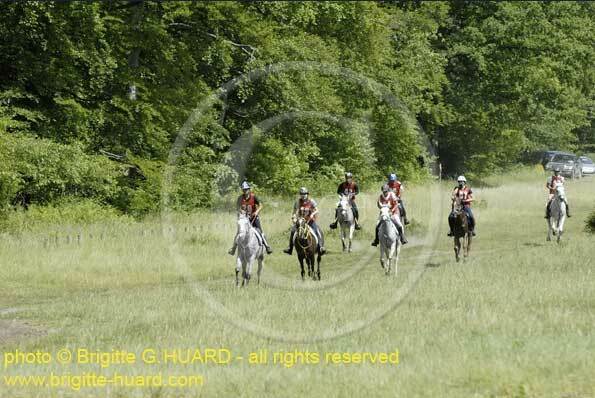 Held over the weekend of May 21-23 top horses and riders came to this region noted for its excellent course. 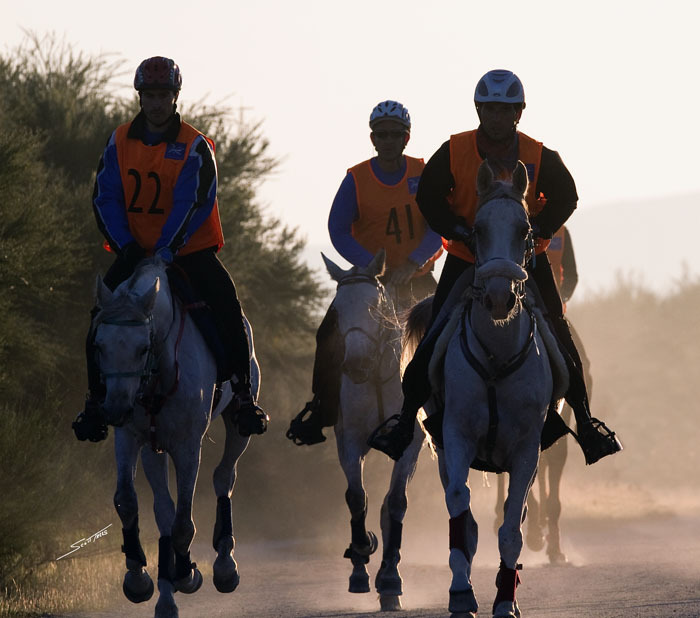 “We are thrilled to have sponsored the National Championships for Spain’s endurance riding efforts. We were impressed with the number of horses and riders, and are very pleased with the local support we received,” said a representative of Al Shahania Stud. Located in an oasis outside Doha, the capital of the Arabian Gulf state of Qatar, Al Shahania is one of the most progressive and successful Arabian breeding and racing establishments in the world. The impressive facility boasts state-of-the-art equine breeding laboratory and barns, full quarantine facilities, and lush pastures ideal for young, growing horses. Currently producing an average of 20 foals per year, the farm is breeding consistent quality flat racers as well as endurance Arabians. Keen to embrace the world’s growing interest and participation in endurance, Al Shahania has ambitious plans for future event sponsorships as well as increased breeding efforts. The 160 KM race had 49 starters with 18 finishing. David Fernandez won the event riding Enia with a time of 10:55:22. The 120 km race had 25 starters with 17 finishing the race. This event was won by Oriol Casals Fores riding Zarha De Vilarormiu, with a time of 7:47:08. For both days of racing, the weather was hotter than usual, which was challenging for horse and riders alike. Race participants and organizers enjoyed a lively cocktail party pre-race, and an enthusiastic prize giving ceremony wrapping up what was a fun filled weekend for all. Lexington, KY – Famed horseman John Lyons will be a featured clinician in the Equine Village during the 2010 Alltech FEI World Equestrian Games, September 25 – October 10, at the Kentucky Horse Park in Lexington, KY. Widely considered to be responsible for many changes in the horse industry in the past 30 years, John Lyons has promoted both kind treatment of horses and the safety of horse and rider through hundreds of clinics, expos, symposiums, demonstrations, magazine articles, John Lyons Perfect Horse magazine, radio, and television programs. Along with his son, Josh, Lyons has developed a certification program known throughout the world. With more than 300 professional certified trainers stationed all over the United States, and in many other countries, their training techniques have affected every horse discipline and throughout every breed. Lyons says he feels blessed to help people with their horses through expos, symposiums, demos, clinics and by his videos. Lyons’ clinics will be available with a Grounds Pass ticket, which are on sale now at a promotional rate of $20 through May 31 at www.alltechfeigames.com/tickets. Prices increase to $25 on June 1. Lyons and his training methodology will be featured each day of the 16 days of the Games during a one-hour interactive session. John and his wife, Jody, and their family, Josh, Jana, Michael and Katie, will all be at the 2010 Alltech FEI World Equestrian Games. Training horses and helping horse owners is definitely a family affair and tradition for the Lyons family. For more information on John Lyons and his training methods go to, www.johnlyonssymposiuminc.com. STRONG winds, stinging rain and chilly weather did not dent the spirits of the 99 endurance riders who braved the conditions to compete in the latest endurance ride held in the Girard State Forrest. The race started in darkness at 2am Sunday morning for the 100km competitors and an hour later for the 80km riders. Chief Steward Michael Combe was happy the event went ahead. The track was slippery, contributing to a few injuries to riders, but none were serious. The International Festival Brazil 2010 Enduro happens in its 3rd edition on 16 and 17 July, and promises to be another successful event enduro Brazilian. Like any evidence highlighted each year improvements and new features are part of the schedule of the event. One of the differences this year are the entries that take place online and in three phases: pre-registration, and final word. Final registration is the last chance to change the animal quel will compose the whole. This year there will also be limited to members by category and allowed 50 sets each. These are rules and regulations adopted in compliance with requirements of the International Equestrian Federation (FEI). The glamor and beauty of the venue, Paradise Resort Golf Village and River Ranch Free, make each edition of the International Festival of Endurance Riding a most awaited events in the year. Participants from all over the country and the world are expected to land in São Paulo. The host city is Mogi das Cruzes, which is 55 km from Sao Paulo, only 35 km from the International Airport of Guarulhos. Italy, Portugal, France, Argentina, Uruguay, South Africa, England, Chile, Colombia have already attended the event and this year are expected also Belgium, Germany, Hungary and the United Arab Emirates. In 2011 held the World Championship Young Riders & Junior and the seat will be Brazil. Not yet determined the location, but the Festival is an opportunity to initiate some actions that can be accomplished by focusing on the next year as the loan of horses aimed at the same rent for next year in the world. Surely this is a unique opportunity for these contacts are initiated. There is an expectation this year of 2010 Argentina and Uruguay to participate in the competition with their own horses, coming from their countries. Only Brazil hosted a CEIO the sport in South America and this will be her second year of the event. Feature that makes this event one of the most important worldwide, equating to the status of Compiègne and Gubbio.